Likewise, GEFONT Policy Institute President and PM Binda Pandey expressed that the proposal of special training for woman workers has positive expect that Budget has addressed the development of self employed woman and equal pay for equal work perspective. 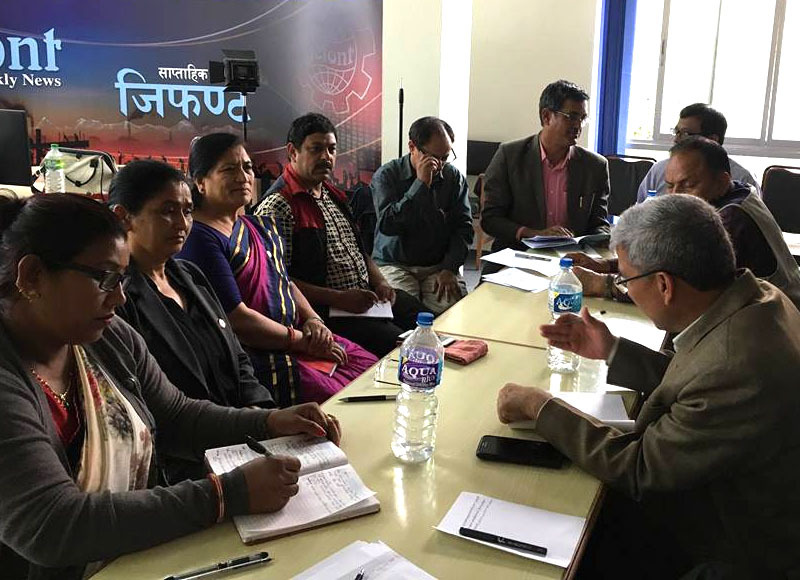 ANTUF President Ganesh Regmi said that Proposal of establishment of Industrial Zone, Economic Zone and Special Economic Zone in all Provinces have positive aspect for employment creation and need to manage workers residential places in those Areas. GEFONT Vice President Bidur Karki expressed that workers rights must be guaranteed while making Industrial Zone, Economic Zone and Special Economic Zone in all Provinces. During the Interaction Programme, Leaders of GEFONT, ANTUF, CoNEP and Member of Parliament have made conclusion about positive perspective of Budget for fiscal year 2018-19 to achieve Prosperous Nepal and Happy Nepalese Mission.